Did you know that Mister Rogers&apos; real neighborhood is in the Laurel Highlands? Be our neighbor and explore the region and celebrate with these special stops on Fred Rogers Trail! Spend the day at amusement park Idlewild & SoakZone, where Mister Rogers&apos; Neighborhood lives on through a new generation of characters. Kiddos can interact with Daniel Tiger, the star of the animated PBS television series, and take a trolley ride! On your way from stop one to stop two, be on the lookout for a familiar saying: "It&apos;s a Beautiful Day in the Neighborhood." Tour the second floor of the Fred Rogers Center at Saint Vincent College, where you can see artifacts like Mister Rogers&apos; iconic sweaters, shoes and puppets. You can also get a glimpse of Fred&apos;s life, from the time he was born in the Laurel Highlands to the impact he made on people all over the world. This is where Fred Rogers attended high school, right in the Laurel Highlands. 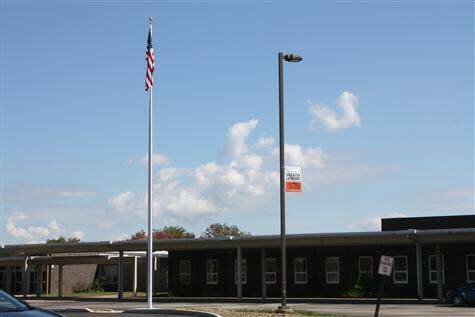 During scheduled school events, the public is welcome to view a large display of items from Rogers&apos; early years. #DYK that #MisterRogers was an ordained Presbyterian minister? Fred Rogers wore these robes during his ordination in 1963. You can see them in person at the Latrobe Area Historical Society- his hometown! Fred Rogers isn&apos;t the only legend born in the Laurel Highlands. Fred and golf legend Arnold Palmer actually attended the same high school! 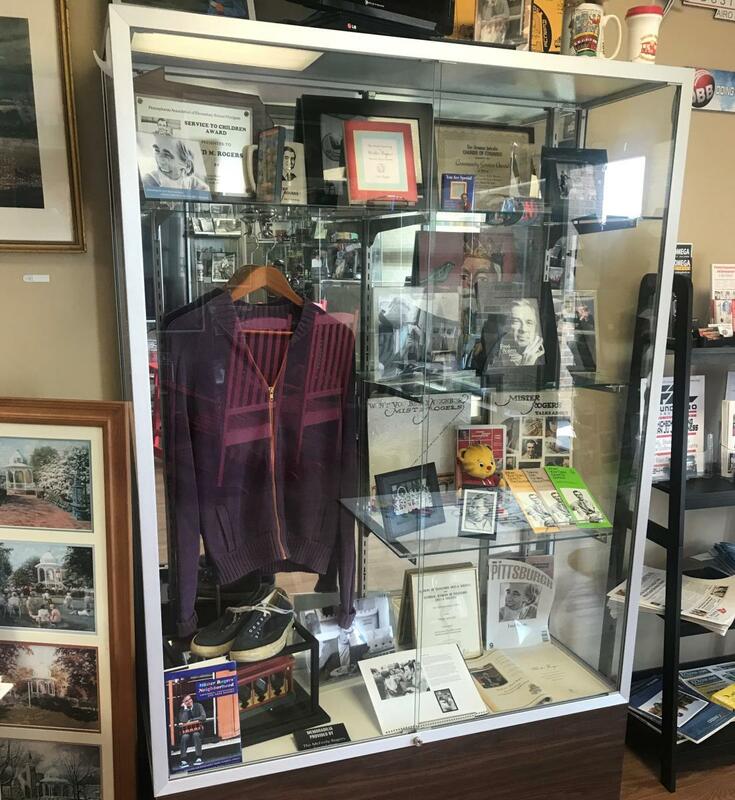 At the Latrobe Area Historical Society, you can explore the history, heritage and well-known citizens of Latrobe. Fred Rogers was an ordained Minister, so stop by and see where he went to church as a youngin&apos;. Reflect on Fred Rogers&apos; legacy and impact on the world and visit his final resting place at Unity Cemetery in Latrobe. 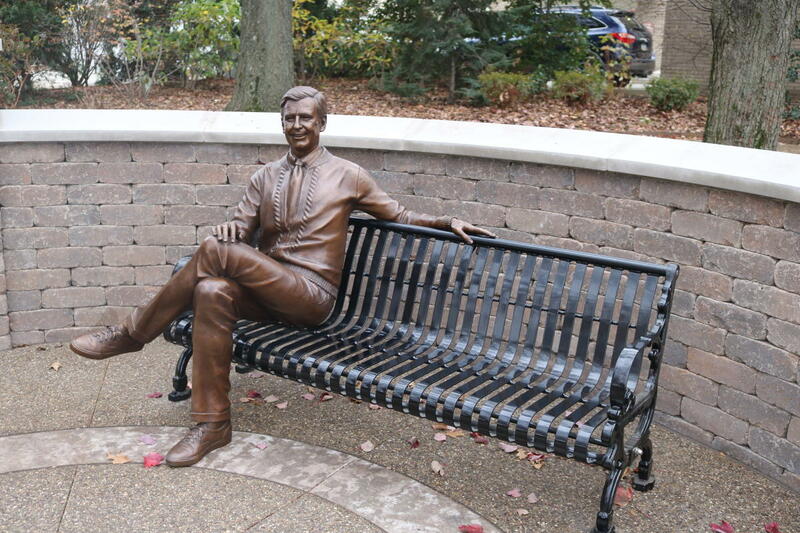 Take a seat next to his statue in Fred Rogers Memorial Park in downtown Latrobe, his hometown. Be sure to take advantage of the perfect selfie opportunity! Enjoy breakfast or lunch at Ricolita&apos;s Cafe at the Latrobe Art Center, where you can browse through Mister Rogers&apos; Neighborhood merchandise for sale and inspiring artwork by local artists. There are plenty of things to do and see between these Fred Rogers attractions. Use the map above, pinned with the places mentioned, to find a restaurant to grab a bite to eat or a place to stay. We partnered with Visit PA to create The Fred Rogers Trail, so be sure to check out the rest of the trail that will take you through Pittsburgh, Washington and New Florence to see everything Fred Rogers. 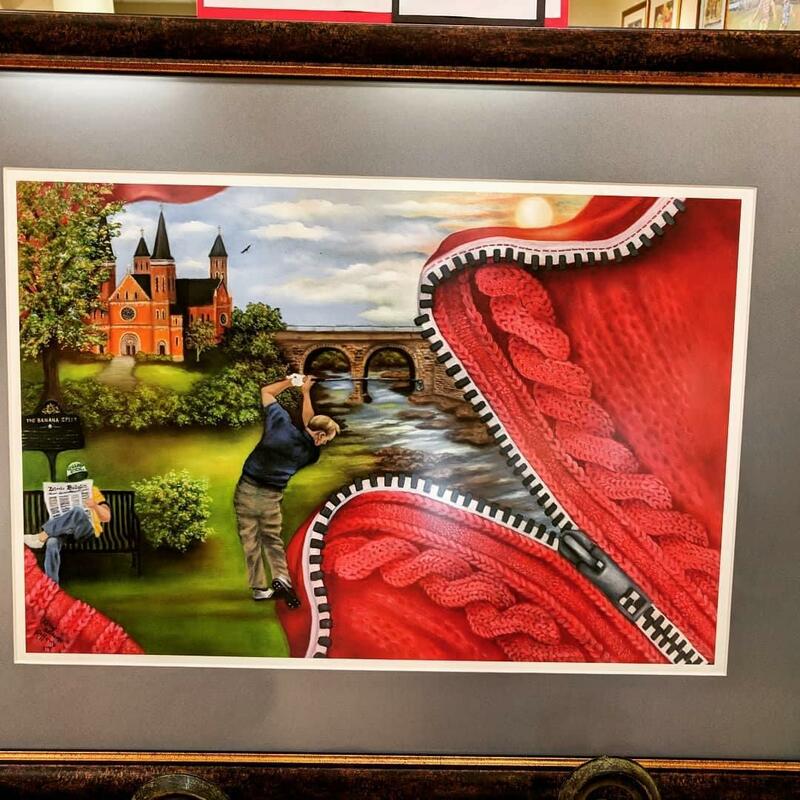 Swing by the Greater Latrobe-Laurel Valley Chamber of Commerce and check out their display of Fred Rogers memorabilia including one of his iconic cardigans and pair of shoes.